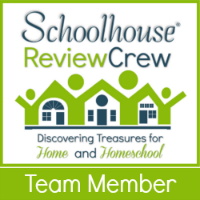 A large part of who our family is relates to our passion and dedication to homeschooling. We have been educating our children at home for the last 7 years and have not regretted this decision at all. That does not mean that the journey has always been easy. There are hard steps in anything that is worth doing. The trick lies in finding the support that you need to continue along the journey. Early on, part of our support came through the insightful articles and wonderful resources offered through The Old Schoolhouse Magazine. In the Fall of 2008, I had the wonderful opportunity to give back a little in writing an article about finding a synergistic fit between our home-based business and our children’s education. To read a copy of that article, please visit The Impact of a Family Farm on a Mega-Sized World. Since that time, The Old Schoolhouse Magazine has gone completely digital and is now free to download. Click below to begin reading the newly released February edition. Click above to read the February edition of The Old Schoolhouse Magazine.